Do you need some help with your website, or some other aspect of your online presence? Maybe I can help you. I’ve got years of experience in dealing with websites and online marketing in almost every industry sector. 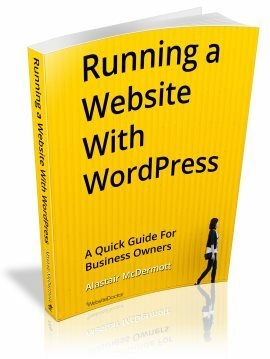 I can help with many areas from web design to online marketing and social media, from WordPress coding and online WordPress training to one to one online business strategy sessions. (Those are all links to my various websites). My LinkedIn and ExpertClick Profiles have further information. I have worked with businesses, associations and institutions of every size and type, from global organisations like the International Federation of the Red Cross, and Fortune 100 companies like Xerox, to small businesses and sole traders. I have worked with almost every sector from technology to accommodation, retail to sports, finance to legal. Don’t just take my word for it – find out more for yourself, including my experience, testimonials & recommendations from clients and 3rd parties on my LinkedIn page. Interested in talking? Contact me to get started.